I have just been introduced to luxury fragrances from Krigler, a historically iconic perfume house. The Russian-born namesake fragrance house was conceived of in 1904 and founded by Albert Krigler. 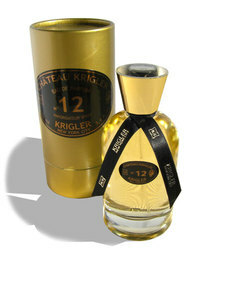 If you like floral scents you might opt for Chateau Krigler 12, created in 1912 and hand made with Lily of the valley, mimosa, white musk and rose, or Juicy Jasmine 30 - an exquisite blend of hyacinth, lily of the valley, ylang and gaiac wood. Blue Escapade 24, a light floral, woody fusion and Jazzy Riviera 210 are both fragrances for Men and Women. Jazzy Riviera210 was created in 2010 to celebrate the vivacity of the Jazz Era on the French Riviera. The launch marked the 100th anniversary of the opening of Krigler's Haute Perfumery Atelier in Cap d'Antibes. Jazzy Riviera210 features clean citrus top notes with a light floral heart and a deep, woody base. In addition to Krigler's custom and classic fragrances, you can shop moisturizers, body lotions, scrubs, cleansing milks, massage oils, shower gels and scented candles at krigler.com/shop-online.